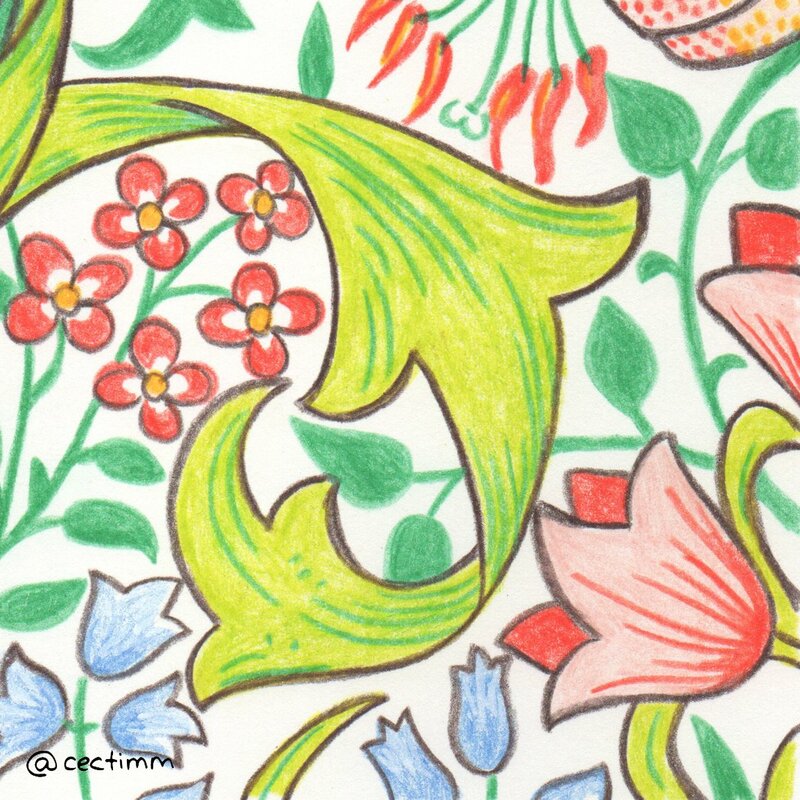 #adrawingaday #onthetiles I love colour and pattern and when I travelled through France and Spain in the 90's I became obsessed with tiles... I even brought some home. This is a vintage Spanish tile design. Everything is so monochromatic and cool in modern home design that it's hard to imagine that people used to bring a lot of colour and life into their homes and businesses through the medium of tile ♥ I am drawing tile designs I find intriguing for the month of August and I think it's going to be a lot of fun :) If you would like to purchase a drawing or commission a portrait, please get in touch. 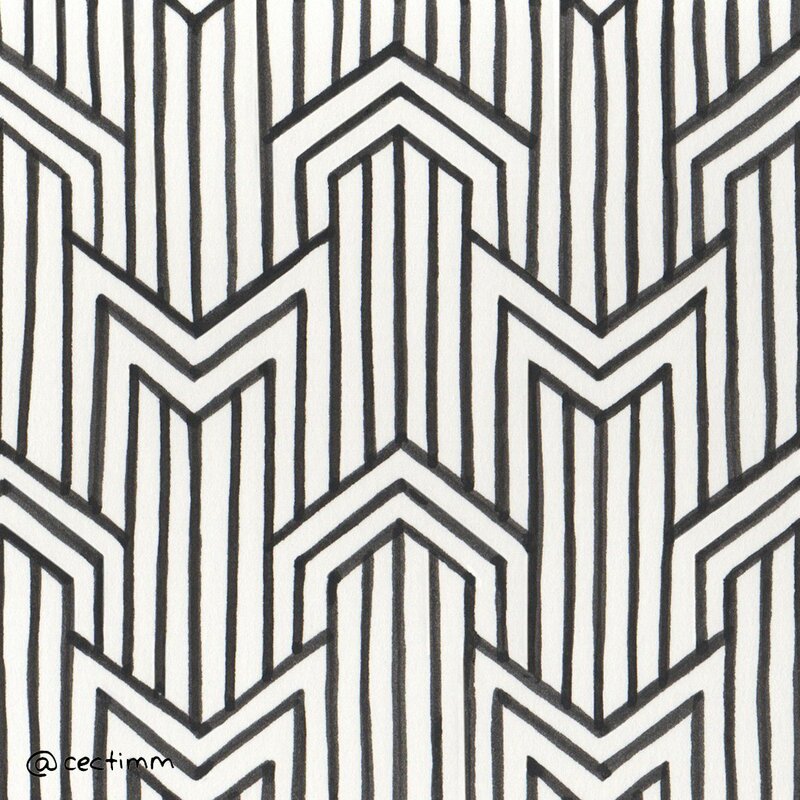 #adrawingaday #wallpaperasart I thought I'd end the month with a bit of sparkle ♥ This is another one of David Nightingale Hicks stunning and classic geometric wallpaper designs. 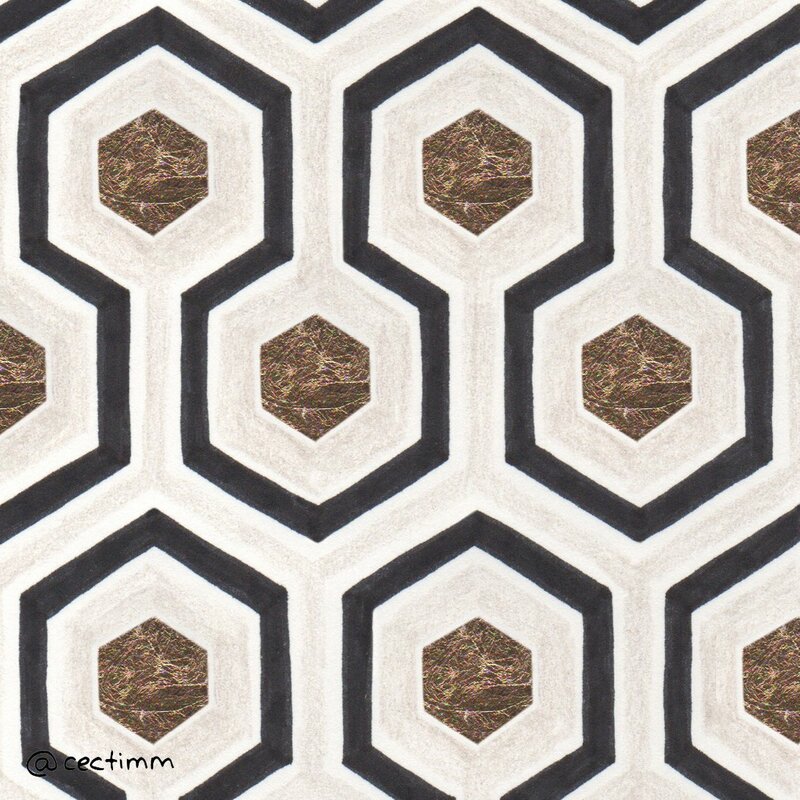 This sophisticated small-scale hexagon wallpaper is a design classic. I wonder which one of his famous clients he had in mind when he designed this one. 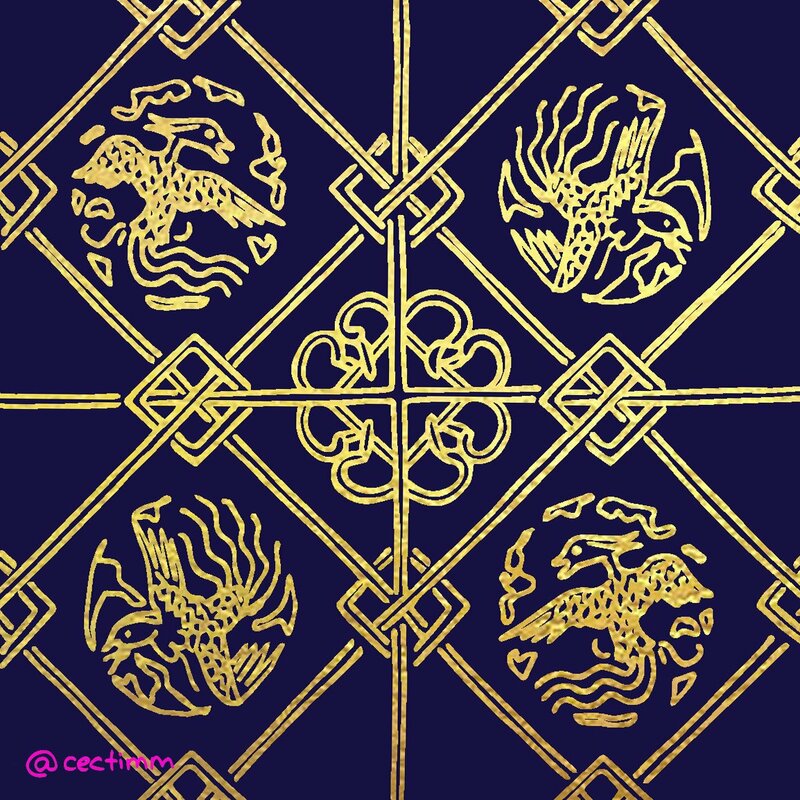 Now I'm not sure if the original design had the gold hexagons merely printed on or if they were, in fact, gold leaf but I have decided to go all out and gold leaf my version. So much fun. The use of the pale soft creamy grey with the strong bold charcoal lines is so striking, the pop of gold is the pièce de résistance. I hope you've enjoyed this month's theme of WALLPAPER AS ART. If you would like to purchase a drawing or commission a portrait, please get in touch. 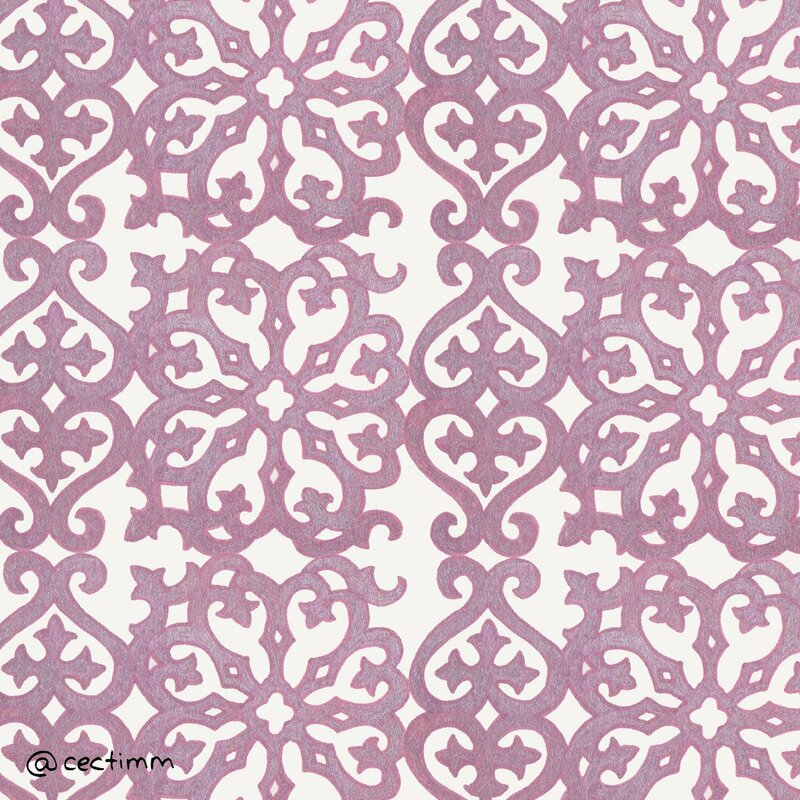 #adrawingaday #wallpaperasart Vintage Chinese damask designs are still being reproduced and referenced today. Their appeal is timeless. 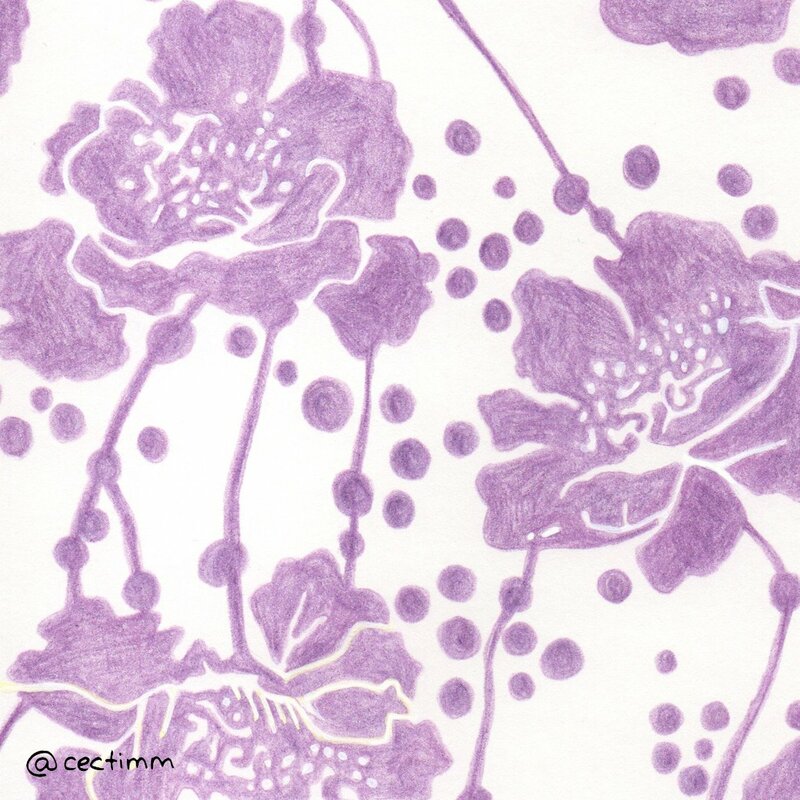 Modern wallpapers have different textures, are washable, can include gold details, can be printed on demand and can bring designs to life that were previously imaginable ♥ If you would like to purchase a drawing or commission a portrait, please get in touch. 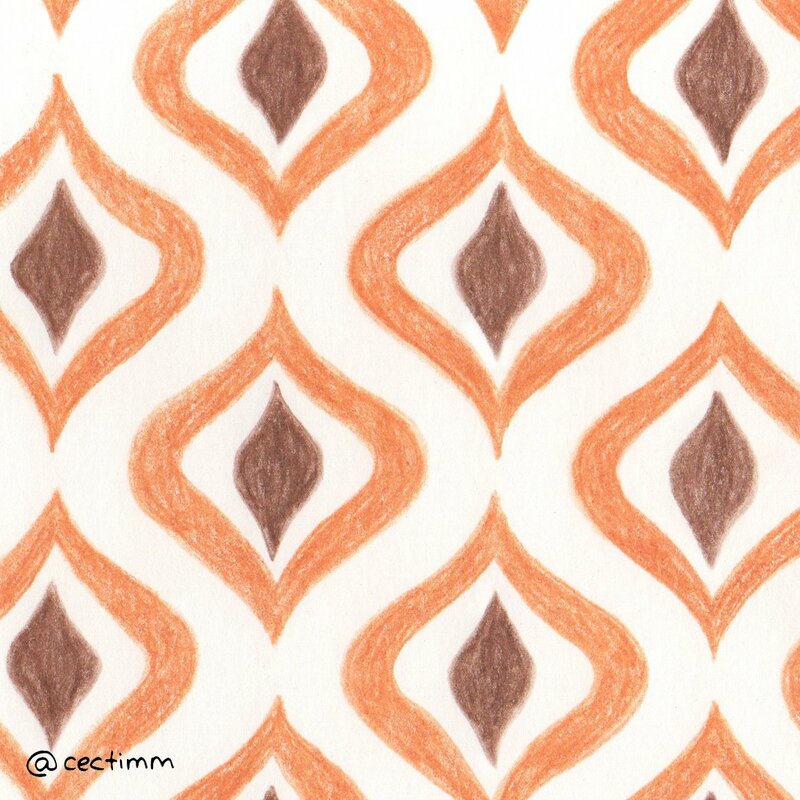 #adrawingaday #wallpaperasart Vintage 1970's wallpaper design is highly collectable and is often sold in marketplaces like Etsy (where I found this little ditty). Flower power was in full swing and the flowers made their way onto dresses, furnishings and walls. Flowers everywhere. 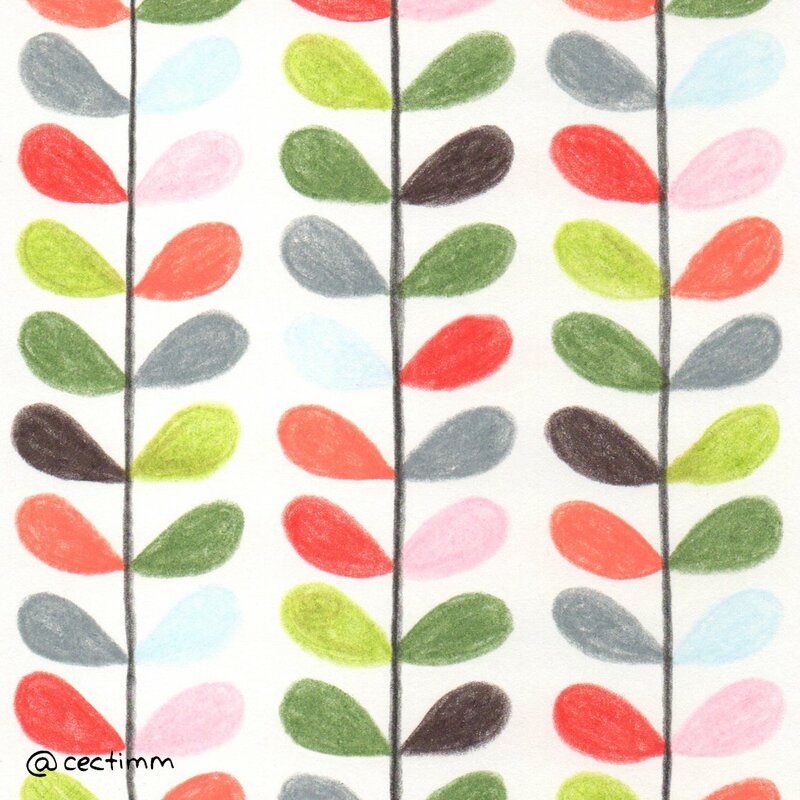 I did brighten up the colours of this design as the browns and yellows didn't cut it for me :P If you would like to purchase a drawing or commission a portrait, please get in touch. #adrawingaday #wallpaperasart Since 2013, Matthew Williamson has been designing an annual collection of wallpaper and fabric designs. Matthew is internationally renown for his refined and glamorous designs. He is inspired by global art and has many artistic influences. His work is coveted by celebrities, interior designers and style makers. This is a homage to his Peacock wallpaper design ♥ If you would like to purchase a drawing or commission a portrait, please get in touch. 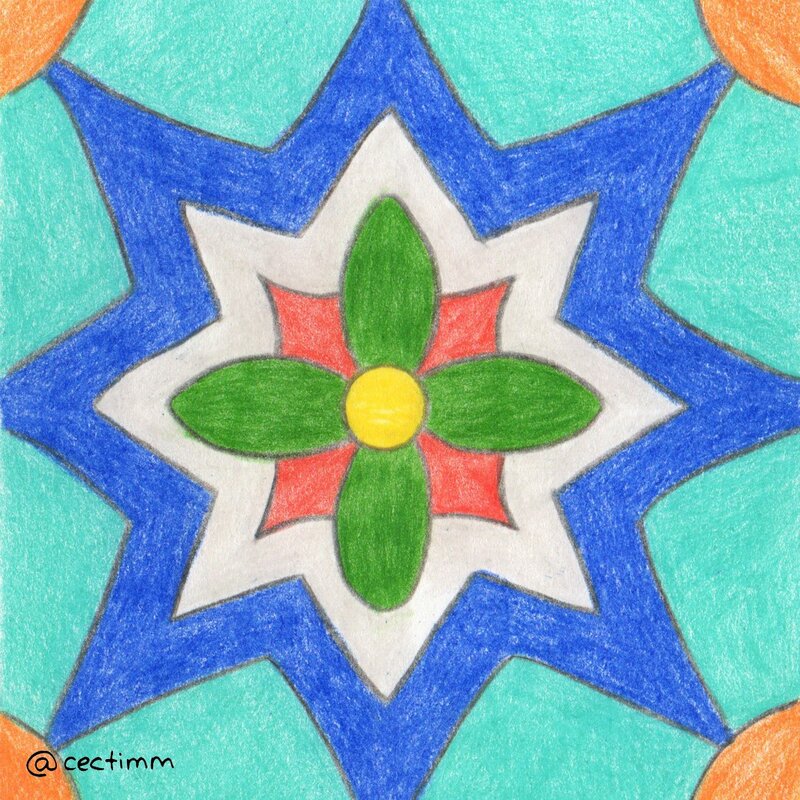 #adrawingaday #wallpaperasart Art Deco's geometric designs graced the walls of houses and hotels and added instant glamour... they still do. We associate the great era of Art Deco design with class, style and sophistication. The simple line motifs not only made their way onto walls but onto furniture, light fittings and architecture. It is such a strong design period form history and is instantly recognisable ♥ If you would like to purchase a drawing or commission a portrait, please get in touch. 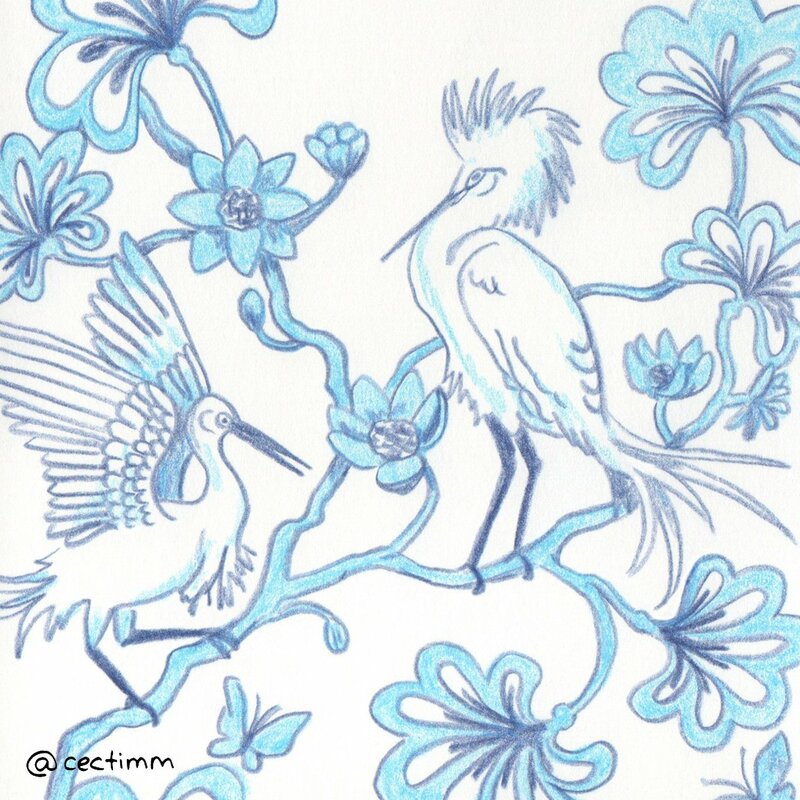 #adrawingaday #wallpaperasart Another one of Florence Broadhurst's beautiful and timeless designs is her Egrets wallpaper. In her younger years, Florence was a performer, singing in Toowoomba in 1918 and then in 1922, she left Australia to perform in a musical comedy group called the Globe Trotters. They travelled through South East Asia and China and her stage name was Miss Bobby. She performed with several other groups and spent time in Delhi and Shanghai. Her time in Asia influenced her designs later in life and she adopted a modern and minimalistic chinoiserie style that she made all her own ♥ If you would like to purchase a drawing or commission a portrait, please get in touch. 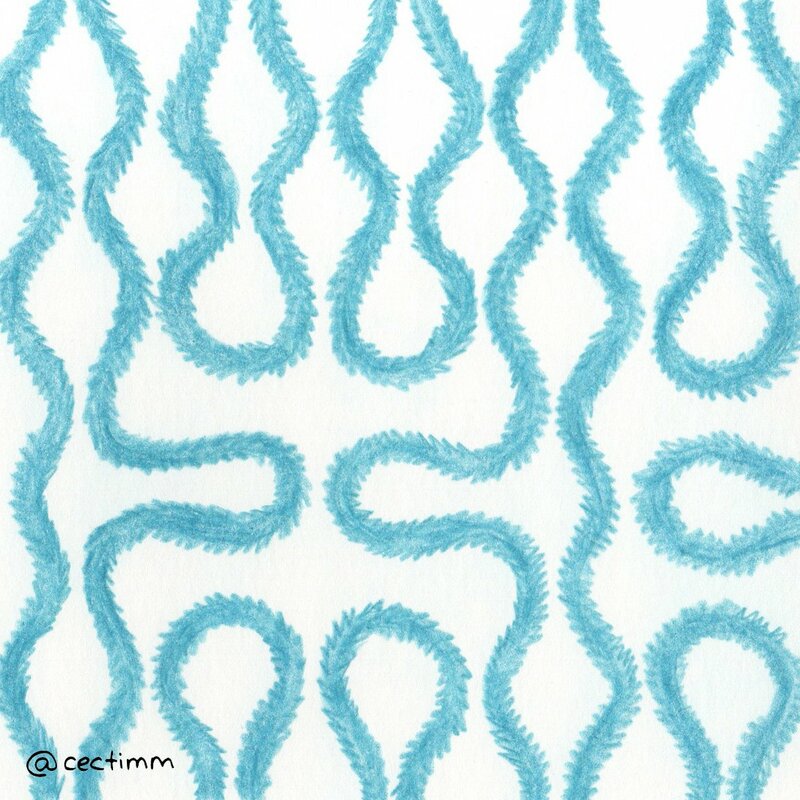 #adrawingaday #wallpaperasart Some modern wallpaper is washable which makes sense when you have people living in close proximity to your walls. 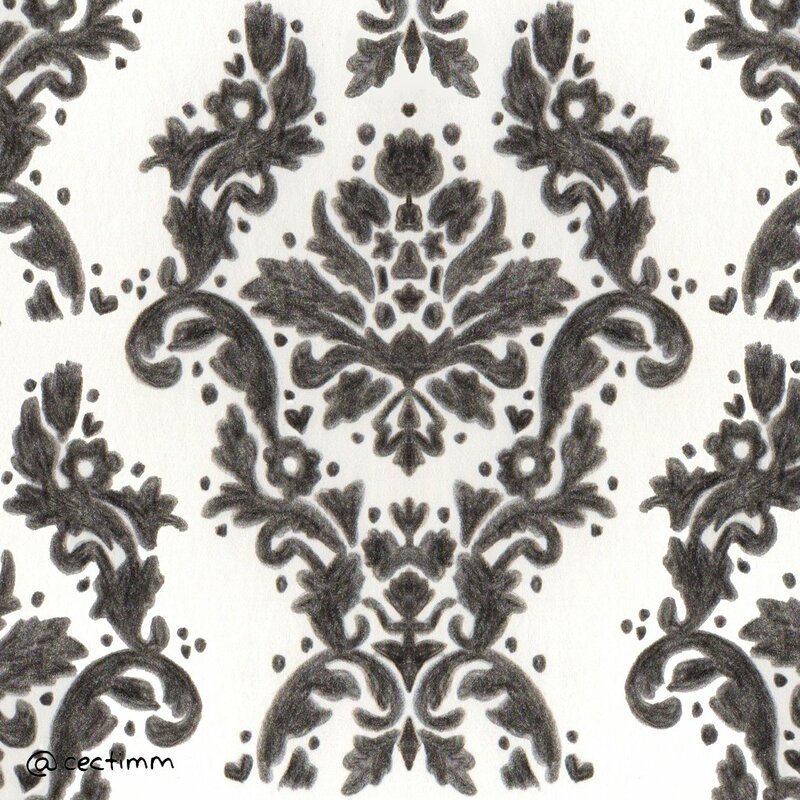 This is another damask design. They really are a staple of design for hundreds of years ♥ If you would like to purchase a drawing or commission a portrait, please get in touch. 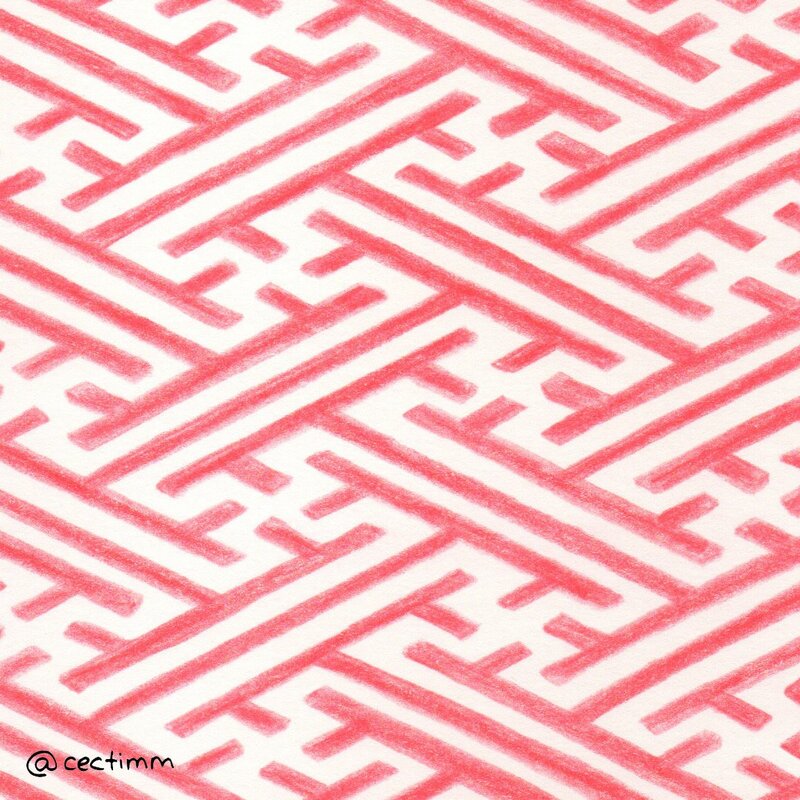 #adrawingaday #wallpaperasart Alexander Girard was a designer, architect, interior designer, furniture designer and industrial designer. His designs dominated the 50's, 60's and 70's and in particular his work with Herman Miller. His designs adorned furnishings and walls around the world ♥ Most of his designs would still be modern by today's standards... a true testament of good design. If you would like to purchase a drawing or commission a portrait, please get in touch. 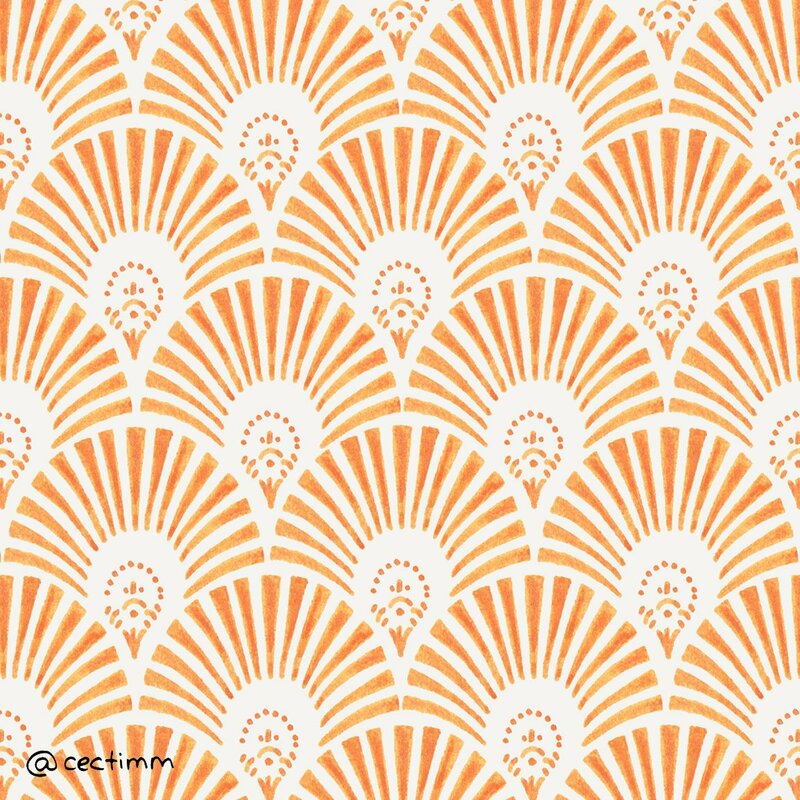 #adrawingaday #wallpaperasart There were so many strong Art Deco designs and one very popular one was the sunburst. 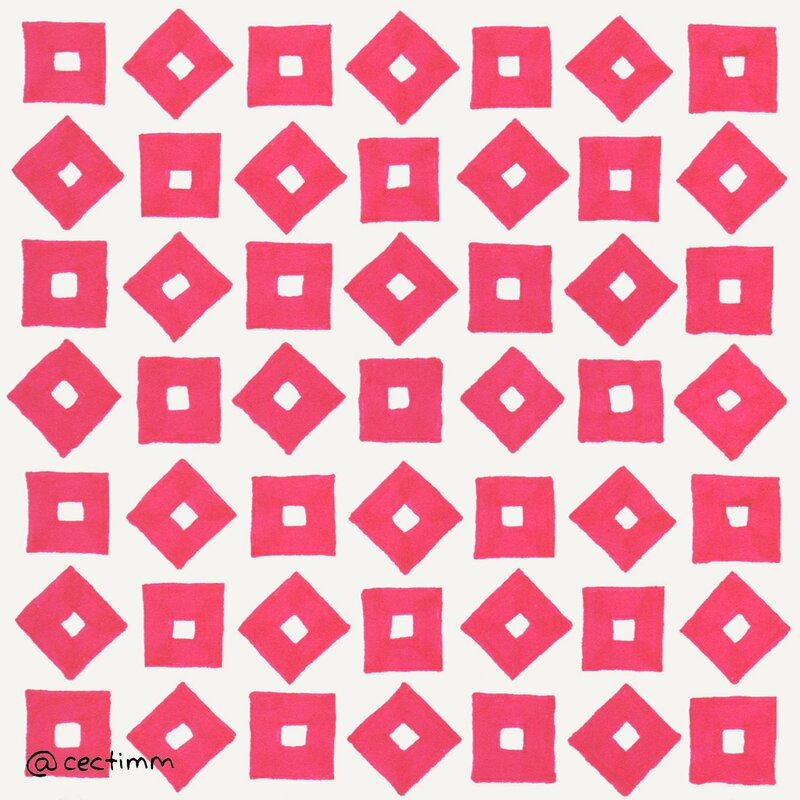 Repeated sunny geometric sunbursts covered walls and lifted spirits ♥ If you would like to purchase a drawing or commission a portrait, please get in touch. 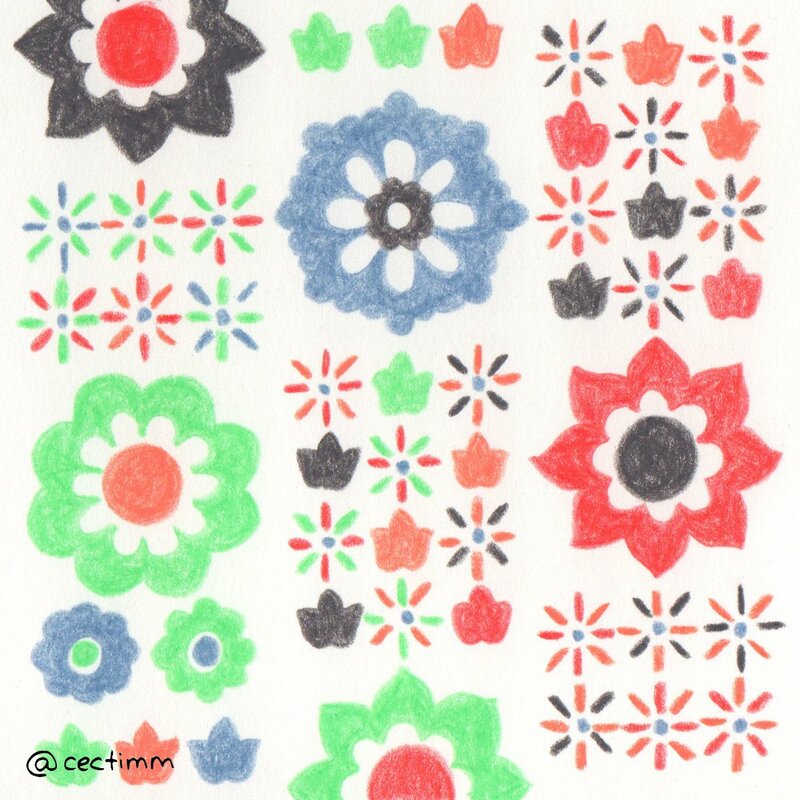 #adrawingaday #wallpaperasart Unlike the 1970's, the 1950's was bright + bold + colourful ♥ Geometric shapes and simple designs dominated the domestic landscape. Beautiful flowers and simple motifs adorned wallpaper + crockery + furnishings + crockery = colour bliss. If you would like to purchase a drawing or commission a portrait, please get in touch. 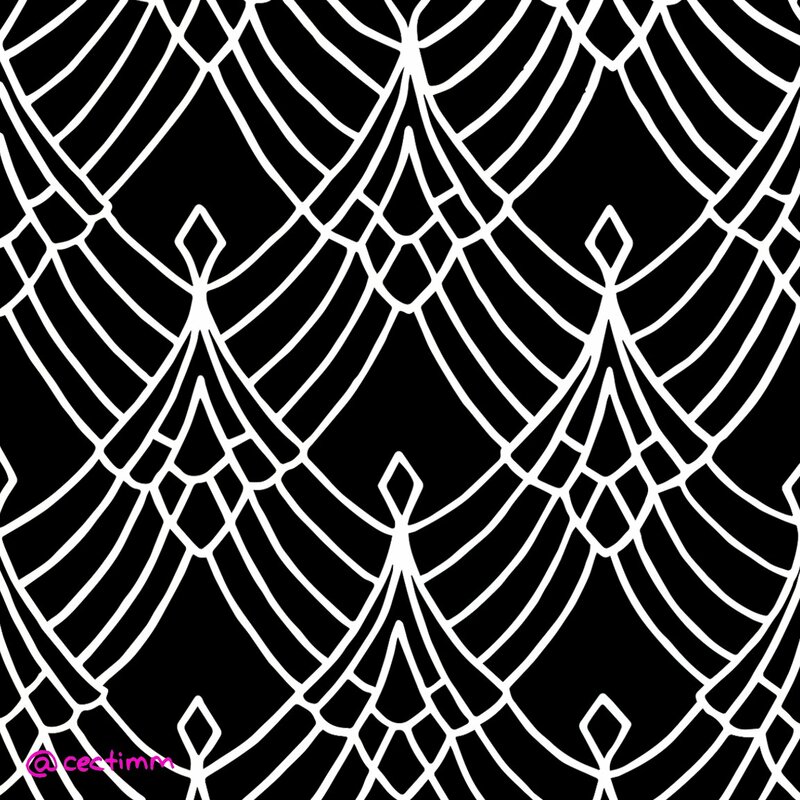 #adrawingaday #wallpaperasart Art Deco was an amazing time for wallpaper. Symmetric geometric designs with strong clean lines and vivid colours with high contrast and simplified forms are the essence of Art Deco. You can just tell when something is influenced by the great era of Art Deco design. It is somehow of its time and timeless ♥ If you would like to purchase a drawing or commission a portrait, please get in touch. 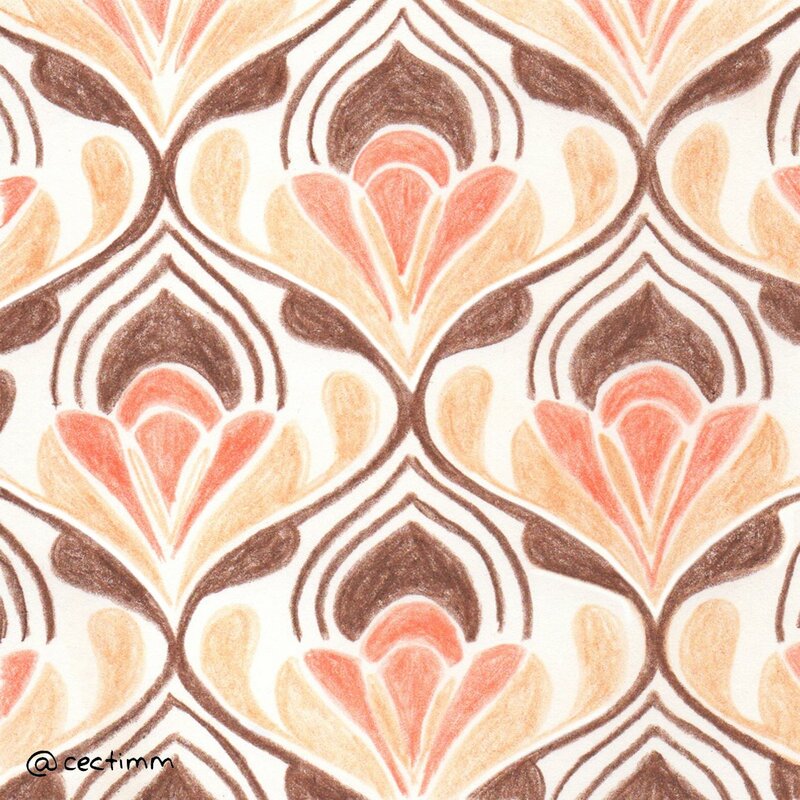 #adrawingaday #wallpaperasart Florence Broadhurst was an Australian designer and businesswoman who was murdered in 1977. 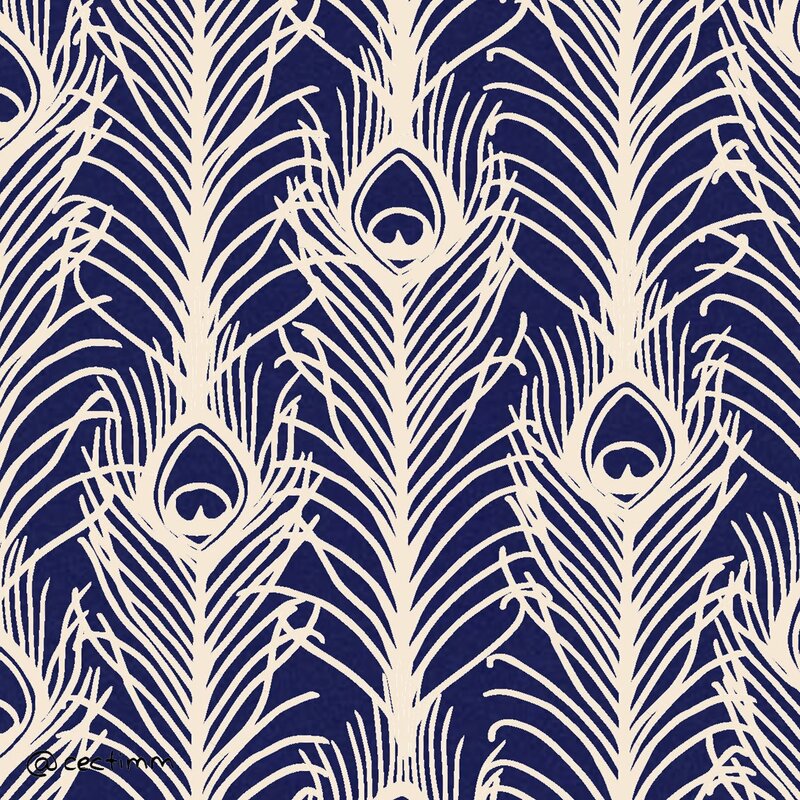 She had a successful career designing wallpaper and fabrics that are still highly desirable and popular today. Her designs were bold and colourful and very modern for their time. The murder of Florence has never been solved, she was 78 years old ♥ If you would like to purchase a drawing or commission a portrait, please get in touch. 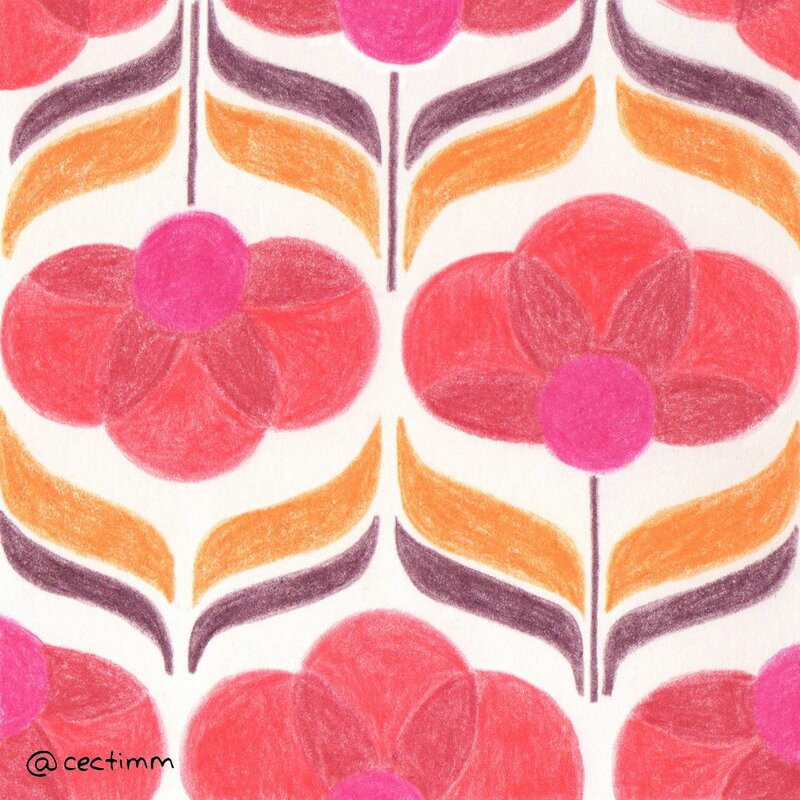 #adrawingaday #wallpaperasart Wallpaper is such a wonderful and creative means of adding colour + design + flair ♥ This pattern is typical of the 1970's sense of colour + floral design + whimsy. I think it would look just as lovely today (you can't say that about too many designs from the 70's) :P If you would like to purchase a drawing or commission a portrait, please get in touch.